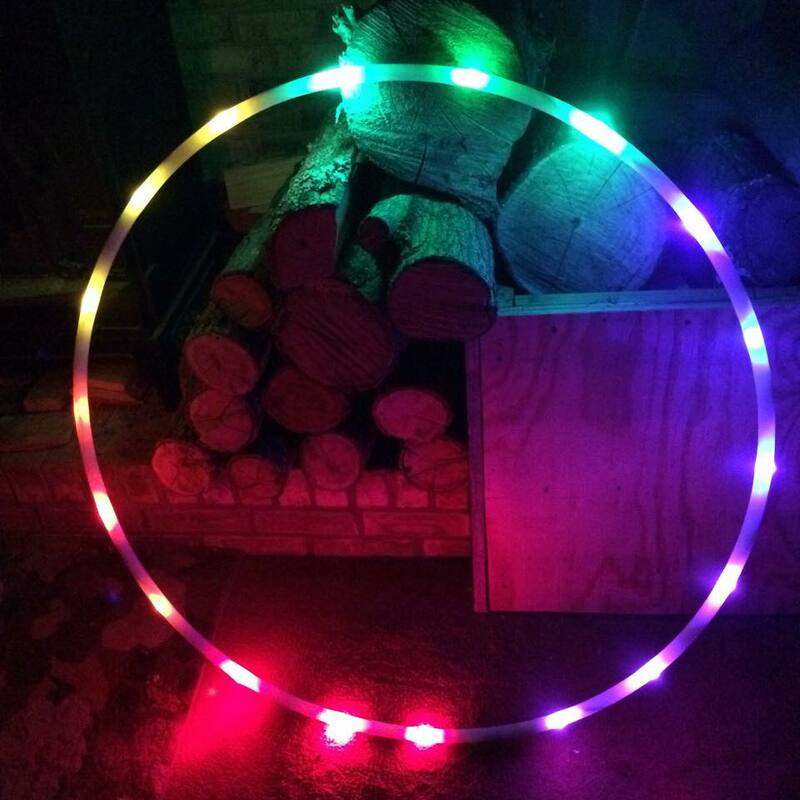 This vibrant rainbow LED hula hoop was originally designed by one of our customers! 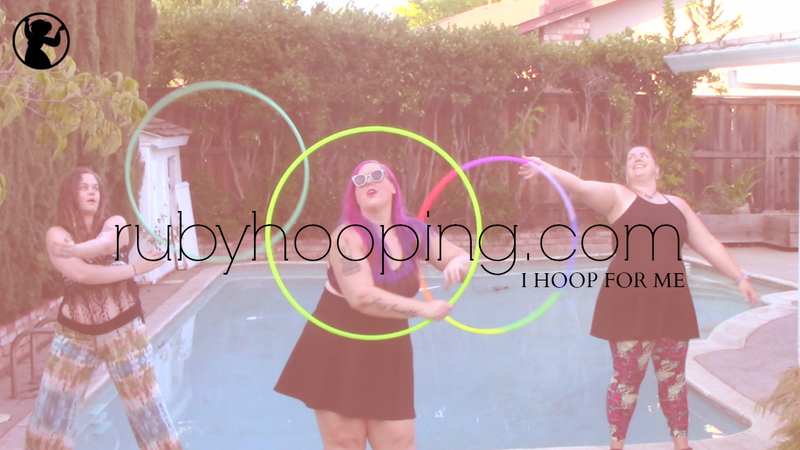 We loved it so much that we had to make a listing for it. 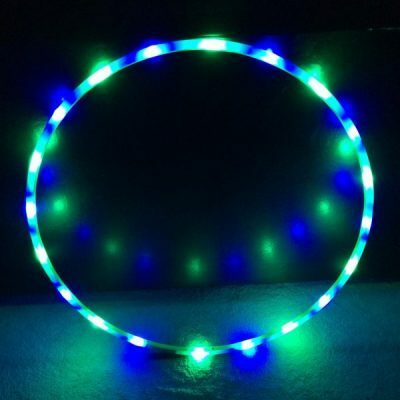 This hoop features 18 vibrant LEDs in all six colors of the rainbow, arranged in a fading ombre pattern around the hoop. 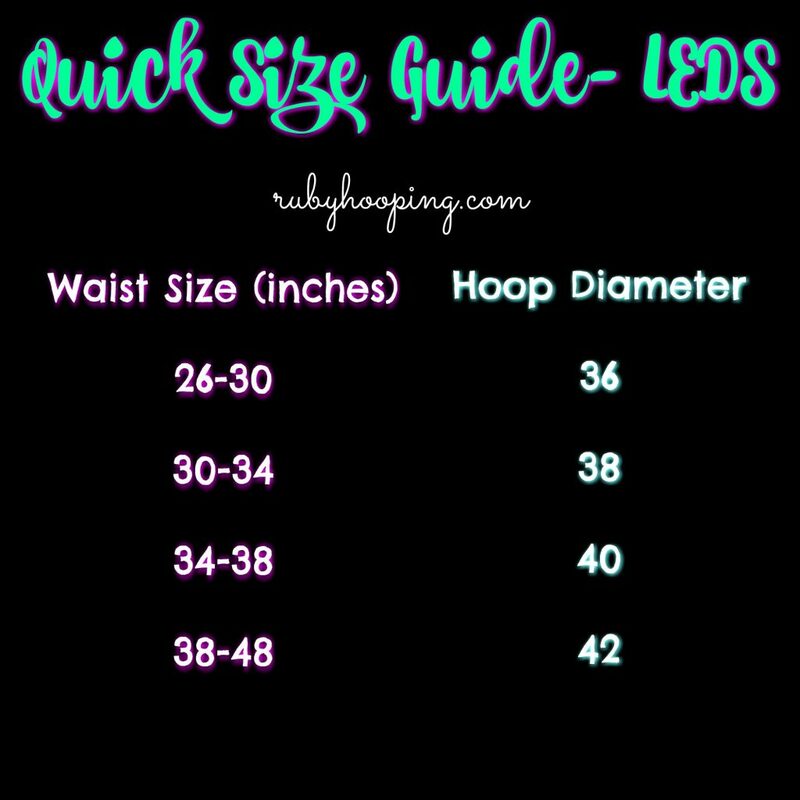 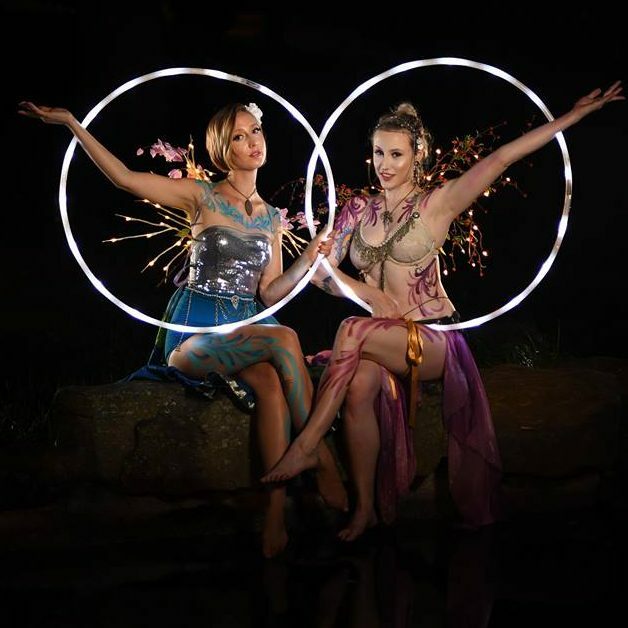 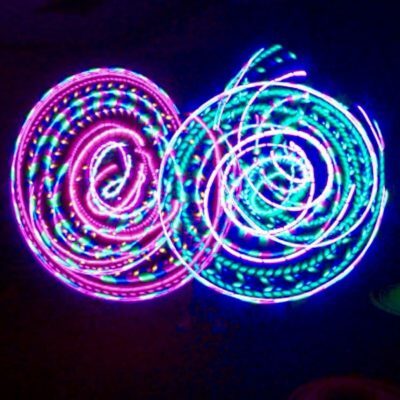 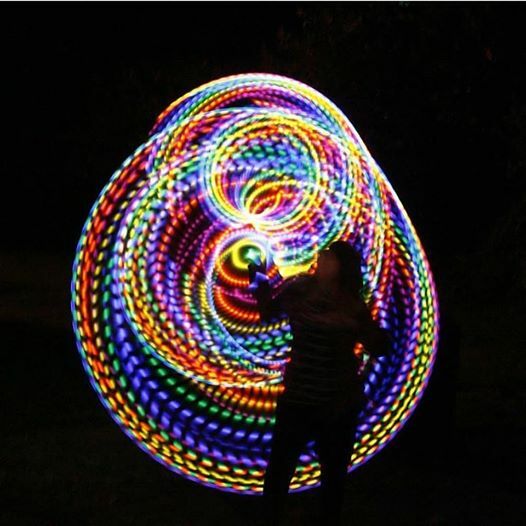 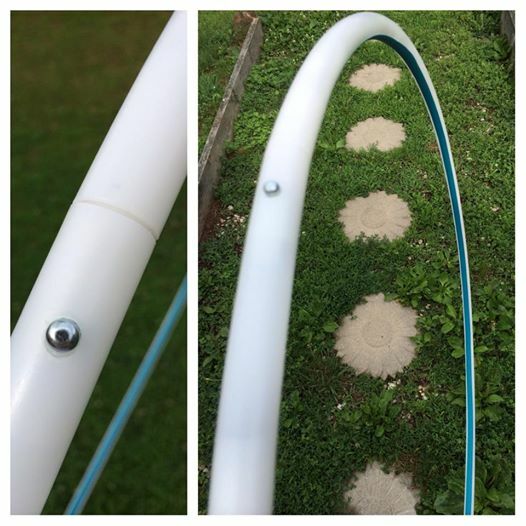 Materials: All of our Rainbow Fade LED hula hoops are hand-made with 18 super bright LEDs and 3/4″ OD or 5/8″ milky white HDPE or clear polypro tubing. 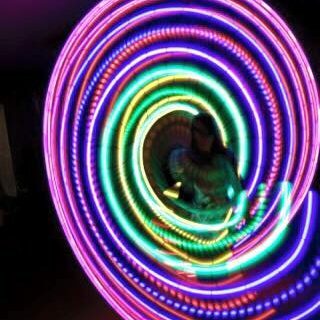 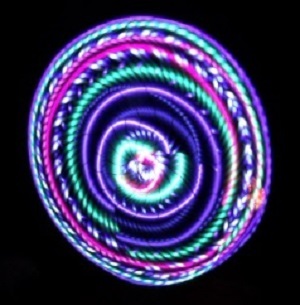 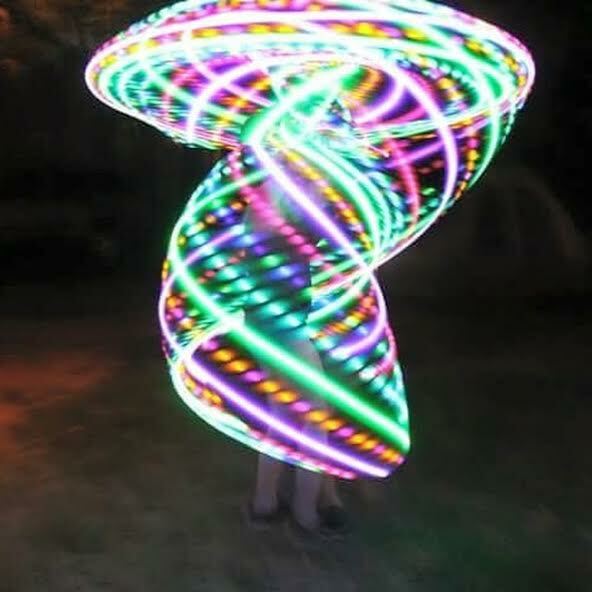 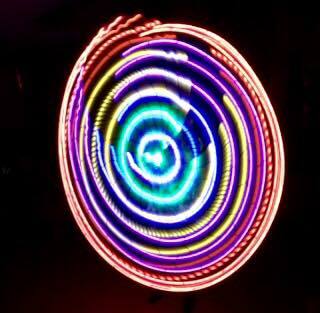 Check out this awesome video of our customer’s first spin with her very first LED hula hoop, our Rainbow Fade! 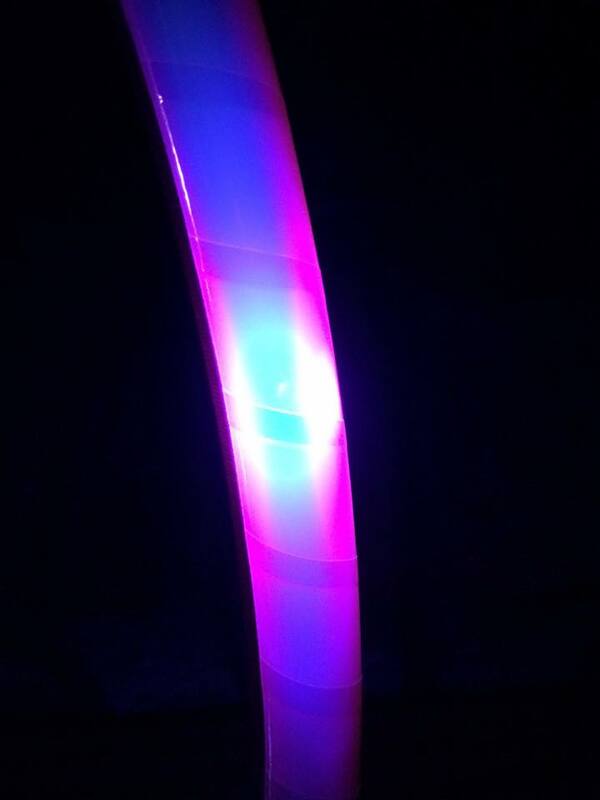 Turnaround & Shipping Time: We always have our current turnover times posted on the front page of our website, but it usually does not exceed 2-3 weeks. 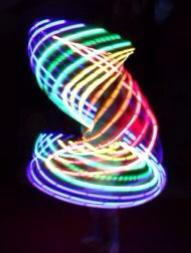 Shipping time is usually 2 days via USPS Priority Mail. 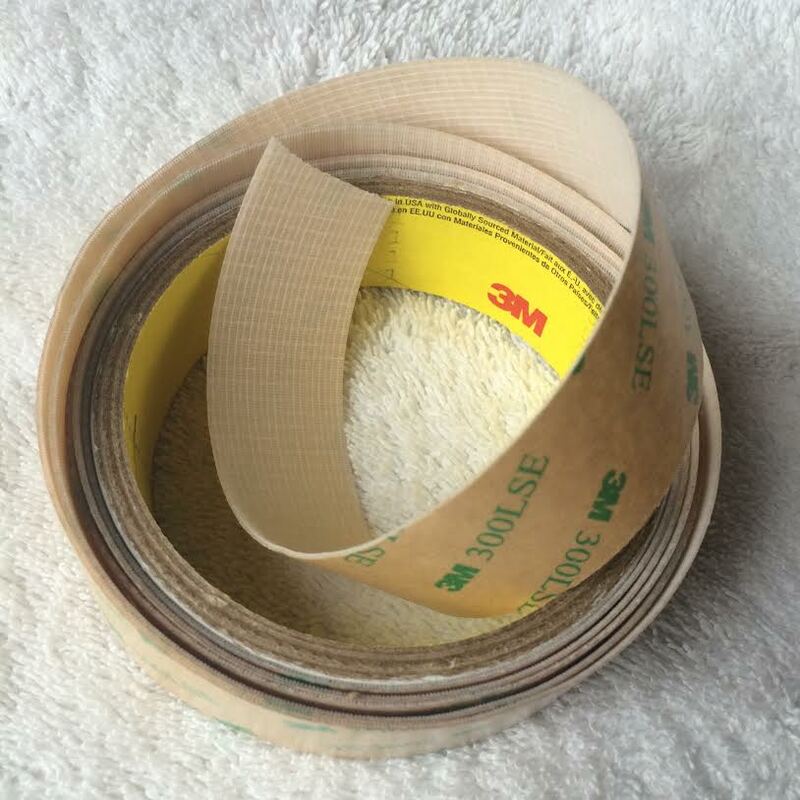 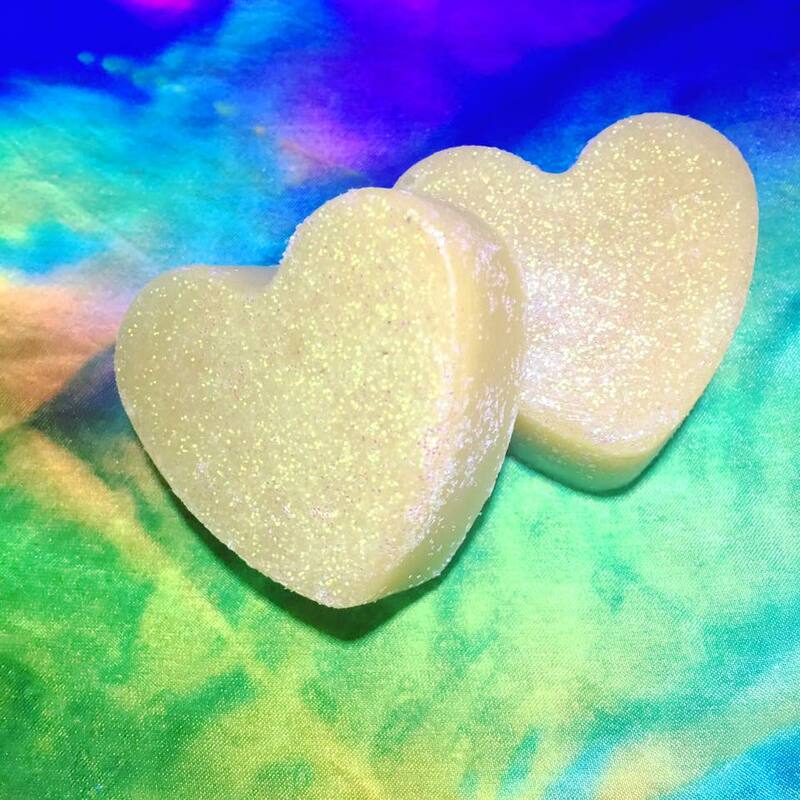 If you would like to check the status of your order, you can message us on Facebook at any time and we will usually respond within 12 hours.